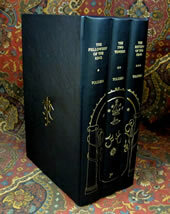 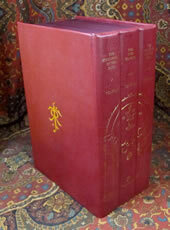 The rear cover has the JRRT Monogram gilt stamped. 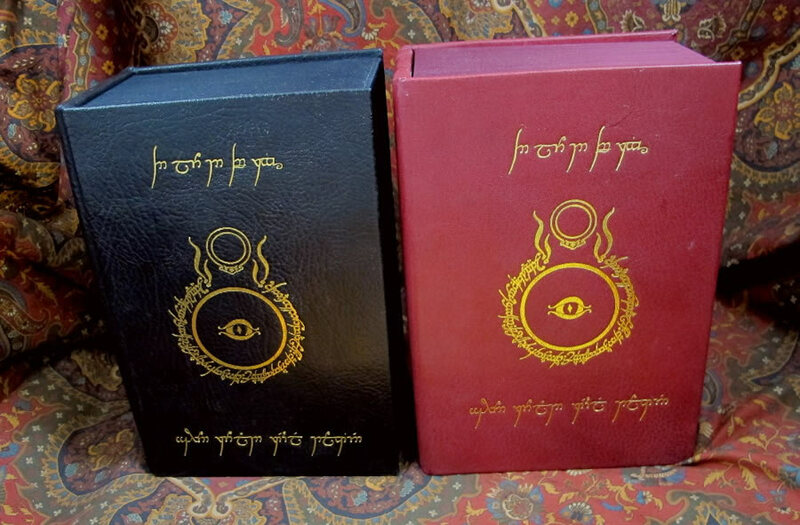 The front cover has the Tengwar Title and Author, with the large Ring & Eye device centered. 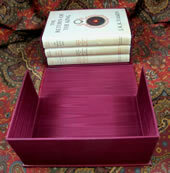 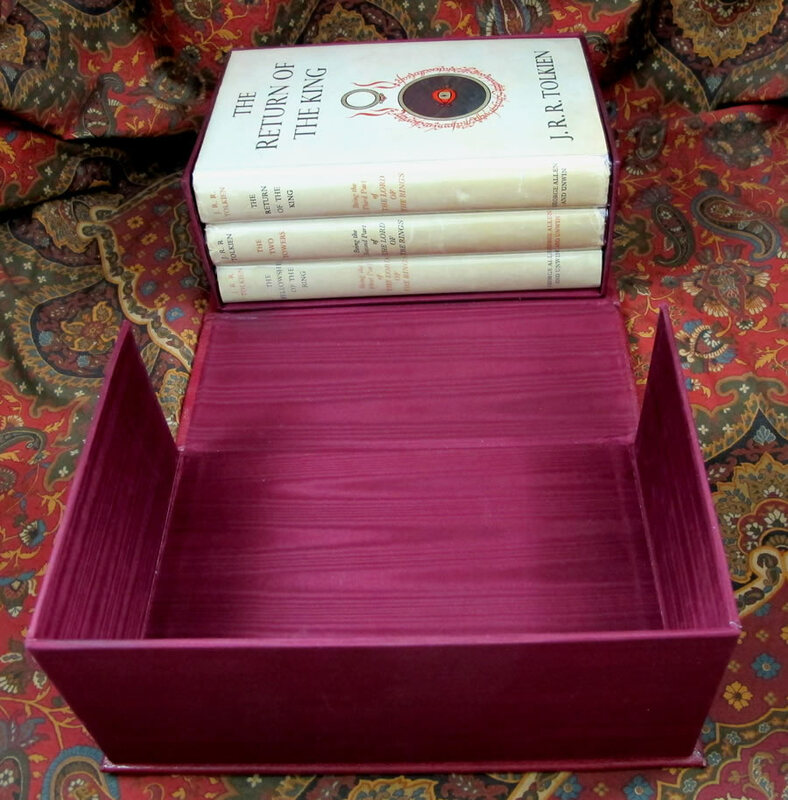 Interior trays are cover with Burgundy or Black Silk Moire. 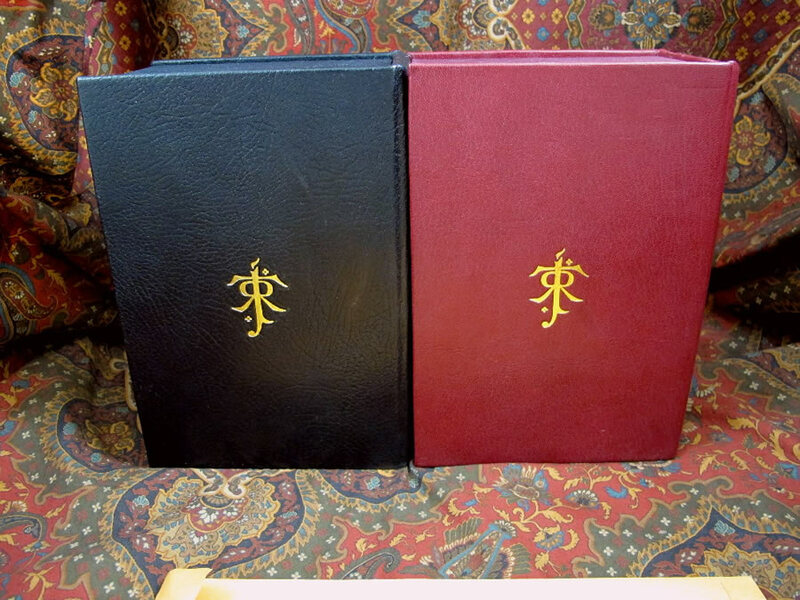 All leather, papers, boards, and cloth are highest quality acid free, and the cover is Moroccan Leather. 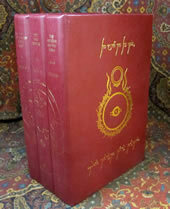 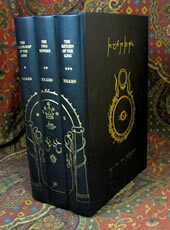 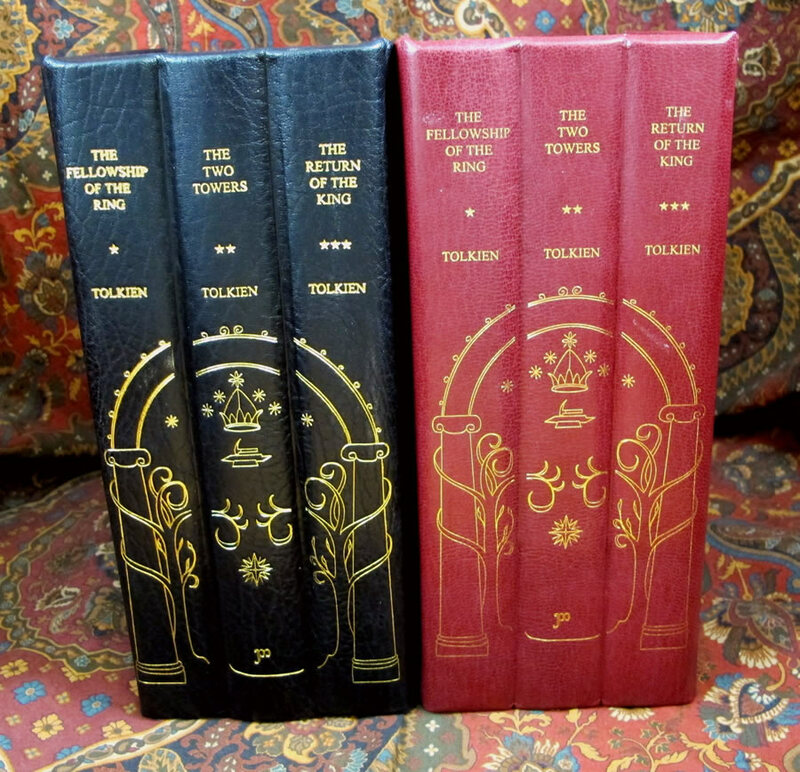 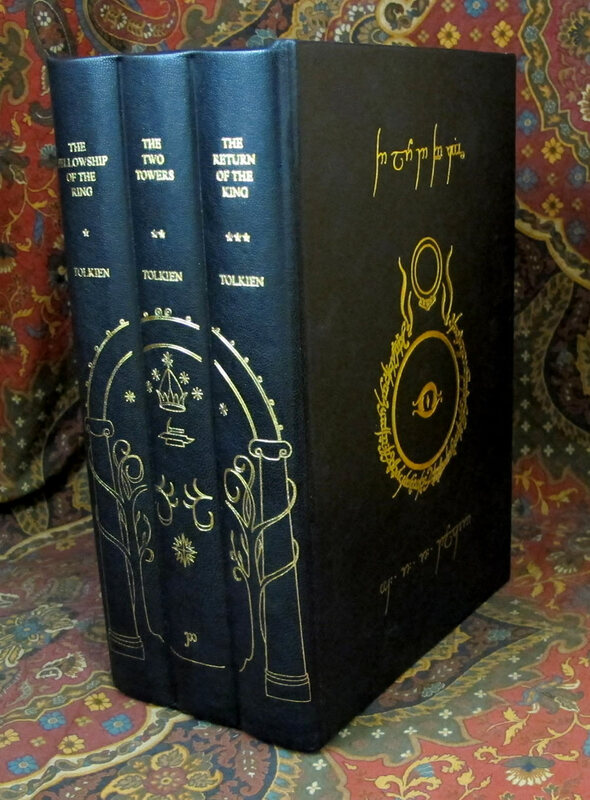 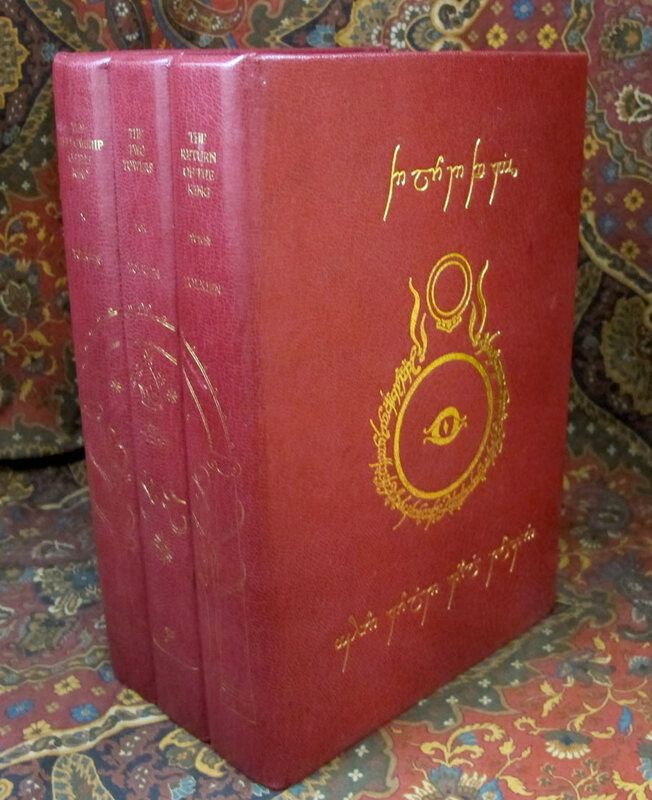 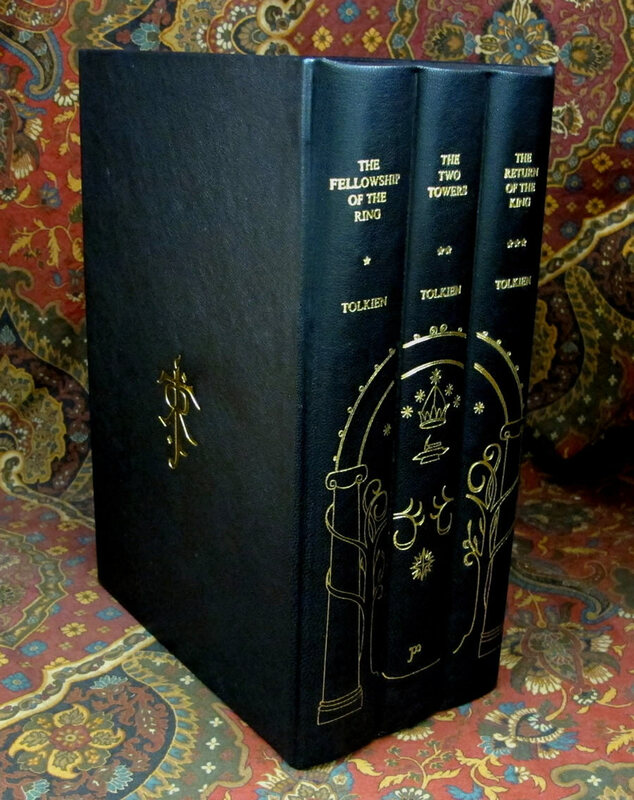 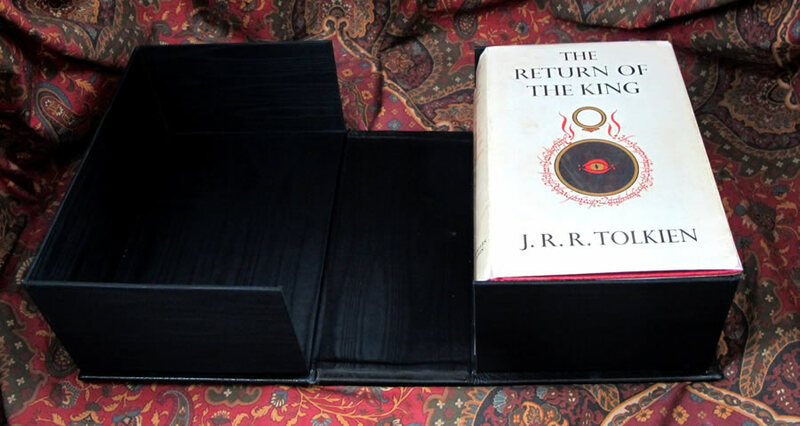 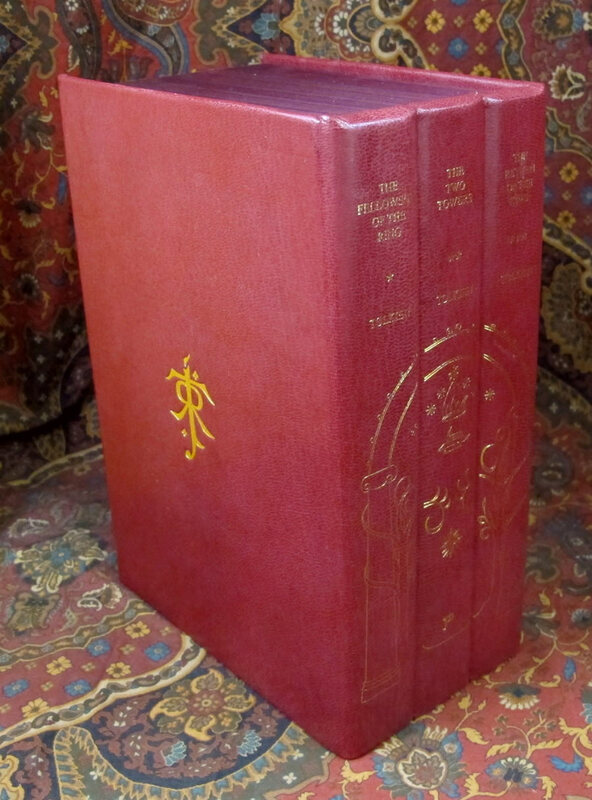 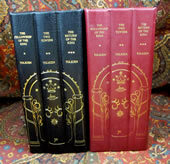 A beautiful compliment to house and protect your First UK Edition of The Lord of the Rings.